Janes Creek Community Homes are located in Arcata on Escarda Court, a street that was named in honor of one of our founding Board members and long-time affordable housing advocate, Kay Escarda. 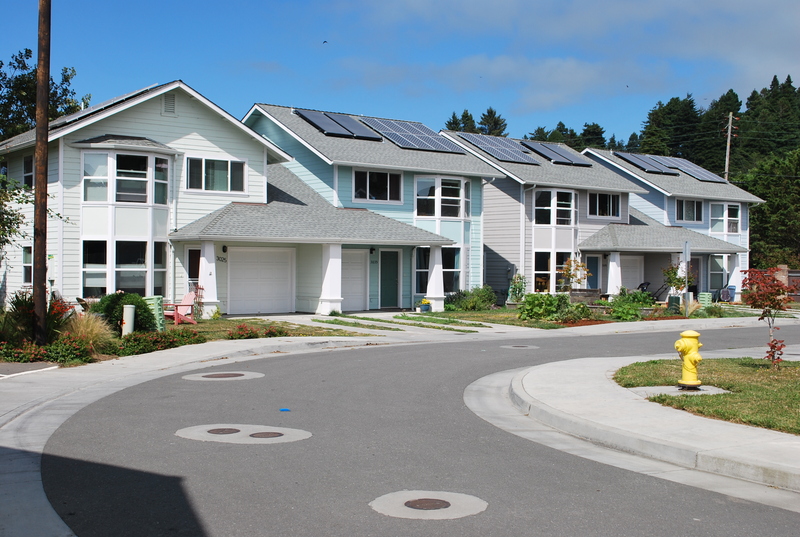 The 10 duplex-style homes are located near a neighborhood park and about 2 miles from the downtown Arcata Plaza. There are 6 three-bedrooms and 4 two-bedroom homes. Each have 1.5 bathrooms and a one-car garage. The homes are equipped with 1-k solar photovoltaic and solar hot water systems. The Janes Creek Meadow subdivision is located on the greenbelt of Arcata near shopping, public transportation, bike routes and the Janes Creek Meadow community park. School districts are Pacific Union, Northern Humboldt High School and Redwood Community College.